Nicko and Kris in happier times: he says they had a good run. Photo courtesy of Nicko Falcis. 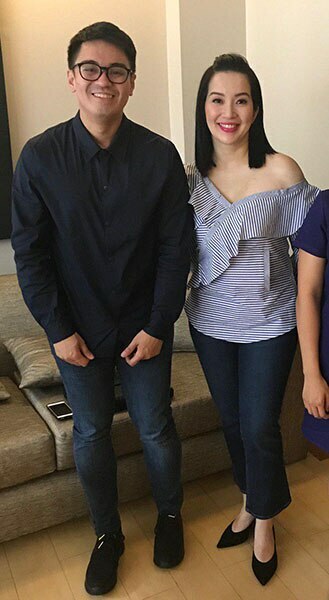 In this second of a two-part feature on the legal dispute between Kris Aquino and her ex-managing director Nicko Falcis, the 35-year old CPA talks about the reasons “Madam” filed a case against him, the day she wanted him banned from her village, and the apology she wanted from his mother. 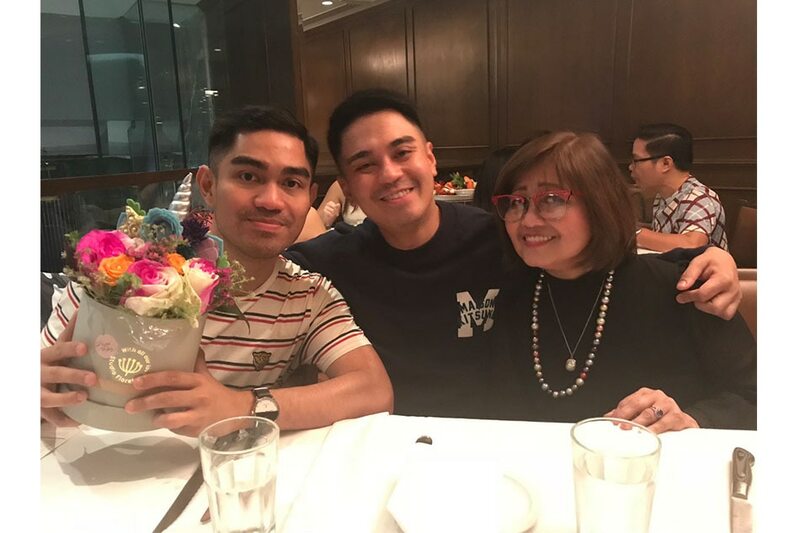 Nicko Falcis looks younger than his 35 years. He looks boyish, in fact, and from a distance, you might even suspect he is the fumbling, servile type. But you approach him and he begins to speak, and you are introduced to quite a confident grown man who has done well for himself. We meet Nicko Sunday, January 6, in a restaurant in BGC. He is wearing a shirt buttoned all the way up to his collar. He tells ANCX Executive Editor Ces Drilon, who was to conduct the interview, that he wants his brother, the lawyer and radio personality Jesus Falcis, to be around when we start—and Atty. Falcis arrives 10 minutes later. Nicko says Jesus is his Olivia Pope. But even without the brother’s presence, Nicko seems ready for anything. We suggest he might want to check his appearance first in the bathroom before he faces the video camera, but he declines. He is prepared and clearly eager to share his side, to unload finally, to tell us about who he was before all this engulfed his life. To rattle off his achievements? You would completely understand him if he does. He is, after all, going up against Kristina Cojuangco Aquino, erstwhile Queen of All Media. She’s done well for herself, too, to be modest about it. And those two names that follow her first name—while they’re not in their peak luster as before—remind you of her distinguished place in this country. 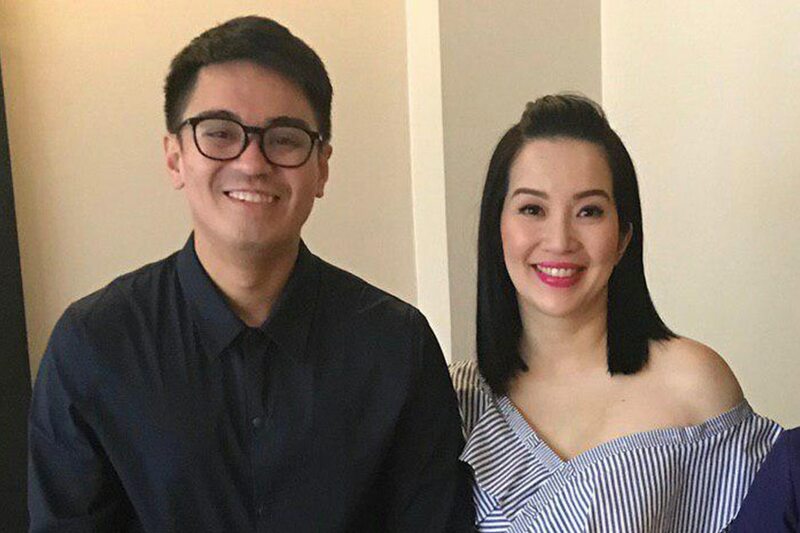 As you may well know, Kris Aquino, former actress and TV host, now big time online celebrity, a social media influencer in the real sense of the word, has accused Nicko Falcis, the former managing director of her Kris C. Aquino Productions (KCAP), of stealing PhP 1,270,980.31- worth of personal expenses from her, charged using the credit card of her company. Last October, she filed a formal complaint against him—44 counts of qualified theft and Violation of Access Devices Regulations Act of 1998. For his part, last January 3, after a long period of silence, Nicko finally aired his side on the accusations. He denied that he stole the said amount using a credit card issued in his name. He said he had not been paid “Php 9 million worth of commissions.” He said he worked very hard to transform her company into a more-than-viable digital enterprise, and that because of the endorsement deals he was able to close for her, she was to earn more than Php 200 million by the end of 2018. Kris and Nicko worked for 18 months together, and he would even go as far as saying, they had a good run. The way it ended, of course, he couldn’t have predicted. She trusted him with managing KCAP, issued a card under his name, executed a Special Power of Attorney. “Anything that is KCAP technically, Nicko can sign. Anything and everything,” Nicko recalls her saying. She trusted him with her image. After leaving television, she had her sights on rebuilding her career, but this time in the online world which, Nicko says, she went into blindly. “I told her, ‘Madam, in order for me to work with you, I have to transform you into a brand,’” Nicko recalls. And Kris agreed. "Oh yes, Nicko, make me into a brand. I want to be a brand," he remembers her saying. “What were these?” we ask. “One, of course she's the unapologetic millennial mom. Anything for my sons. You mess with my sons, then you're dead to me,” replied Nicko. “Two, her legacy: she is the daughter of an ex-president, a daughter of a hero, and of course the youngest sister of our ex-president. In our interview with Nicko last January 6—as has been mentioned in this article’s Part 1—he mentioned that Kris got hugely upset when she learned that pictures from her trip to attend the Crazy Rich Asians premiere in the US ended up in an ABS-CBN website. From Nicko’s story, it turns out Kris was still hurting over her parting of ways with the station. According to Nicko, this resulted in many messages from his Madam, scolding him for the oversight. But even as early as July 2018, Nicko had felt the strain in his relationship with Kris. In his counteraffidavit on Kris’s charges of theft, he claims the false charges began after Aquino blamed him for an allergic reaction incurred during a video shoot in Indonesia. “She told me that I should have insisted that the brand representatives inform us, many days in advance, of the exact location of the video shoot. I was scared because Aquino was very angry at me. I apologized to Aquino to appease her anger,” Nicko’s counter-affidavit states. “In the morning of 26 July 2018, Aquino had an outdoor city photo session with the brand representatives. Before Aquino and her entourage were to travel to the factory for the 3:00 p.m. video shoot, persons in her entourage asked me to purchase Starbucks coffee and snacks for Aquino and those persons. They texted me their individual orders. It was not part of my duties to serve as a personal assistant but I did as they requested because these persons told me that Aquino would want to have coffee that afternoon and there was no suitable restaurant near the brand’s factory. I proceeded to a Starbucks branch at the Toll Rest Stop and purchased take-out orders of coffee and snacks for Aquino and the persons in her entourage. “I reached the location of the video shooting just as Aquino was having her third take. At some point, she asked that the video shooting be stopped and asked to go to her car. She was coughing and appeared to be in distress. An ambulance rushed Aquino to a provincial hospital. We were very concerned for Aquino’s welfare. I asked all persons in the entourage to go on news blackout and wait for notice from Aquino. “Later on, we received information that Aquino was in Manila and receiving proper medical treatment. Her personal nurse-assistant informed us that on 26 July 2018, while Aquino was in the car, she could not breath properly and appeared to be going into anaphylactic shock. Aquino obtained relief by the timely use of an ‘Epipen’ which Aquino had in her first aid kit. I was told that the ‘Epipen’ had been prescribed for Aquino by a US doctor when Aquino consulted that doctor in early 2018. “I also received information that while Aquino was in the provincial hospital in Indonesia, she sought the help of her siblings in Metro Manila so that she could return to the Philippines and receive proper medical attention. I was told that her brother, former President B. C. Aquino, contacted his Indonesian friend, a certain Mr. Salim, who was based in Singapore, and he graciously allowed the use of his private plane for Aquino’s emergency flight. After Kris supposedly blamed him for her ill health, the messages from Kris decreased in number. If she had something to say to Nicko, it would be sent through members of her staff. “I am not an evil person Nicko, I have gratitude for you having been there when we started… I am also savvy about what can be done to a person’s reputation when big business starts speculating about the WHYs," went a message from Kris to Nicko, submitted as part of the latter's counter-affidavit. Nicko never expected to be accused of something so grave as stealing money, moreso stealing from the trust fund of her two sons. Nicko says Kris couldn’t make her mind up whether she would keep Nicko or let him go. “I think 6 or 8 times she changed her mind whether she wants me or whether she wants me kicked out. Me, I'm okay, I always tell her that, ‘Madam I'm only good until you need me or up until when you want me gone. I'm okay.’ Again, who am I?” Or in Filipino, sino nga ba naman si Nicko? NF: Here's the weird thing about Madam. She never lies. She tells the truth. She's not a liar. But she can fabricate the truth. And that is her best gift I guess in this country, or in her lifetime. CD: What do you mean fabricate the truth? Or twist the truth is what you mean? First, she was suggesting he enroll in a course abroad. The second option was to sign a management consultancy contract because, he recalls her saying, “You know Nicko, let’s face it, you handling four to five jobs is also difficult.” Managing her life, she said, is already the most difficult chore for anybody to have. Except for what it implied, the third and last option is not completely clear if you base it from Nicko’s words. Because they had a falling out, people may suspect that Nicko did something wrong, Kris was supposed to have hinted. “That you may have mismanaged funds and we don't want that Nicko”—were Kris’s words as per Nicko. “Nicko- you were there when my vision needed someone to help implement it. So it will be a test of my character to shut up about why the work relationship ended… you’re right- I did lose my trust in you. And I know myself only too well- I can never go back to relationships because I know that once the way I see a person is altered it stays that way already… I also know enough to keep quiet because if I rant- I am not protecting my dignity. “It was w/ you that I believed enough to surrender my walls & give my 100% trust & dependence to- but you ended up being just like them. YOU DIDN’T PRIORITIZE ME nor RECIPROCATE what I had wholeheartedly given you- so why will I not again settle for much less that what I deserve? “You had the duplicate keys to my life & you had free reign to run my company & chart my path- yet you didn’t take care of it. I cannot be blamed for being disillusioned, hurt, and angry- because I know hindi ako ang nagpabaya, & yet ako yung pinaka umiyak. “So you must honor my pain, respect that I am mourning, and then let me heal by graciously stepping aside for me to move forward. “I don’t want to live a life of regrets. And I know we are parting ways with no what ifs. I know in my heart I tried my best & I’d given my all- but I am just so done with more suffering. “You know when she went all Gone Girl crazy on me, I never thought I'd be able to come back,” says Nicko, recalling the time he was in Thailand. Seated now in one of the chairs in this BGC restaurant, he seems to be grappling for an explanation he could tell himself. Well, maybe not that lucky. In his counter affidavit, Nicko enumerates the reasons he says Kris filed the cases against him: to pressure, intimidate and coerce him to keep quiet and involuntarily accede to her unilateral termination of their agency agreement and business arrangements, and to her unreasonable demands; to fully cooperate with her “media plan” to protect her public image and reputation and to discredit him in the event that he were to disclose information pertaining to Kris’ personal life and financial dealings, which may have an adverse effect on her public image and reputation. Nicko couldn’t understand why she was making a big deal of these purchases when he was using the card under his name. This was when she was so mad that, according to Nicko, she said, “I-ban si Nicko sa village ko na ito. Bawal siyang bumalik dito.” This was also when she asked him to sign a non-disclosure agreement—which he did. CD: But since it's under duress, do you consider that null and void? NF: And I can dispute that. She did not have any other third party. The witnesses are all her paid henchmen or all her paid entourage. The other ‘narrative’ Kris wanted them to abide by was for his mother to apologize to Kris and for the whole family to sign non disclosure agreements in their dealings with the actress, because at this point, while Nicko was in Thailand, his whole family had been dragged into the controversy. Kris wanted Nicko’s mother to apologize on behalf of her son. Kris wanted Nicko to give a special power of attorney to his mother and sister so they could sign documents on his behalf. NF: We are not stupid, you know. We are one of the most educated families I guess in this country. And we know our rights, we know what is not a good document, what is not a contract. Even me, as an accountant, I know business law, I know the contract of agency and all those. She just really wanted a very onerous one and a very unilateral settlement and it was just very unfair for us. So we did not sign. CD So why did you not buy into that? 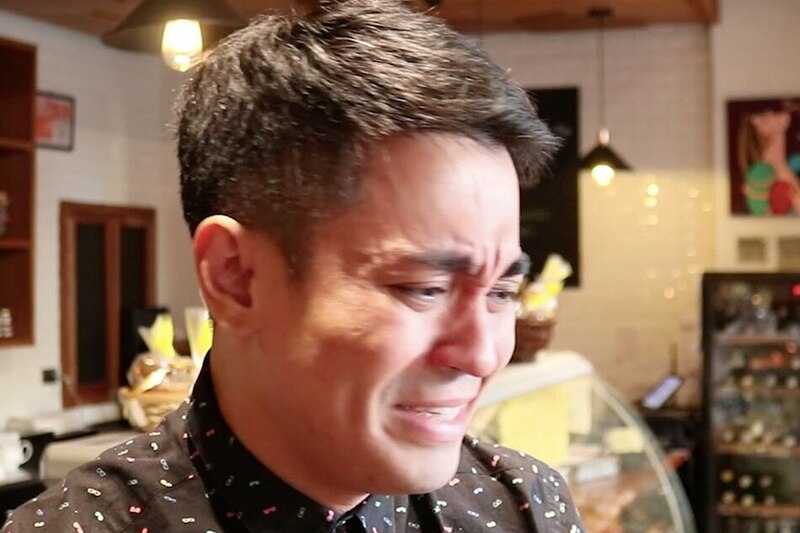 In this particular webisode of the KCAP-produced Life Update With Kris, the former TV show host talked about how Mrs. Falcis had “reached out” to her—even if nothing of the sort, according to Nicko, had materialized. “Because I’m a mom, iba dating sa akin pag mom ang kausap. I felt the mom’s sincerity,” Kris says in the video. CD: In the end it's like forcing your mother to do something? NF: She wants an apologetic mother. She wants an apologetic mother so she can forgive. Because she has to be the one to forgive. Why can't she forgive me. Why does it have to be my mom? Sabi niya, “Mother to mother na tayo. Sorry Sharlene”—my sister—“you are not the mother that I want.” Because my sister's also a mom already. Nicko with his mother Dra Carolina Falcis and brother Jesus & sister Charlene. 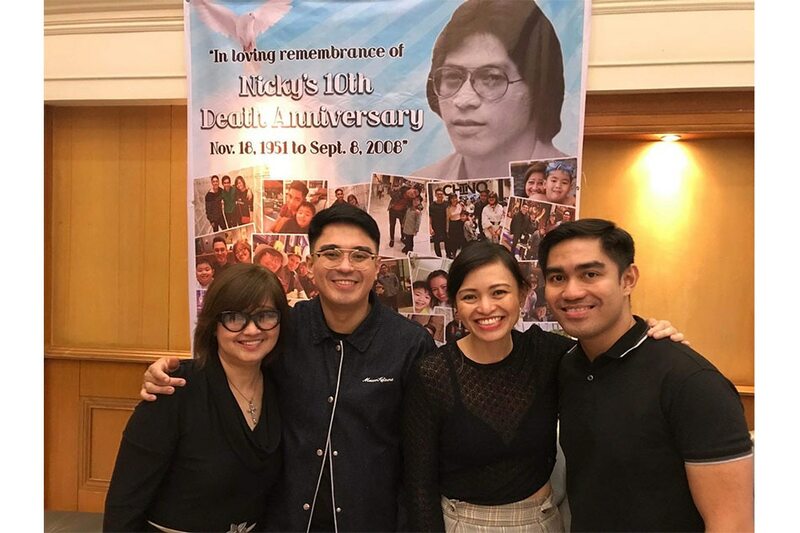 Photo taken during 10th death anniversary of Nicko’s father Nickardo. Before Nicko Falcis met Kris Aquino, he was already a CPA who had built a pretty impressive portfolio. “I somehow manage to always stand out. I love to compete against everyone, myself included, with a huge smile on my face, so I can continuously check my progress and performance to preserve my independent world of high standards,” he once said in a feature on him in HKUST-NYU where he finished his masters in Global Finance. If you are to believe his claims, he gave the same geeky passion he displayed in all his previous jobs when he started working for his Madam. He’s just wound that way, he says. 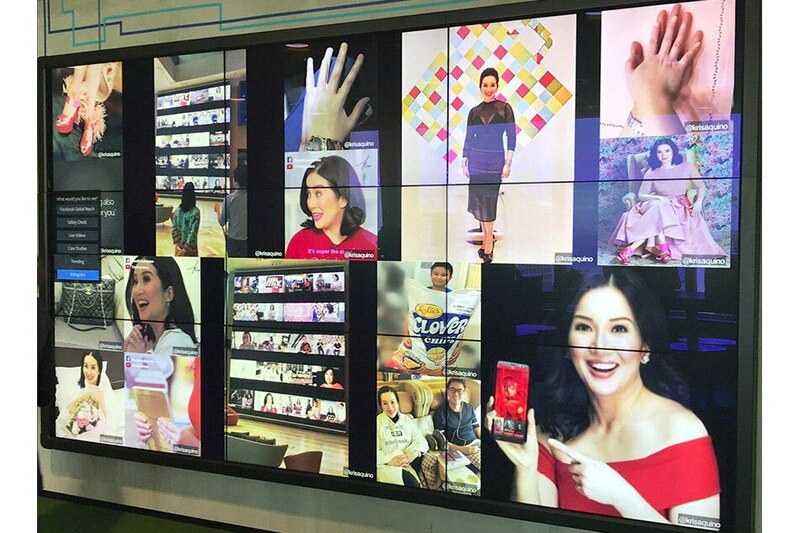 By turning KCAP into a “viable business model,” by making it profitable, by delivering the numbers and making sure she had the contracts to sign—he claims she is set to receive more than P200 million by the end of the previous year, after all—he thought this would shield him from her wrath. 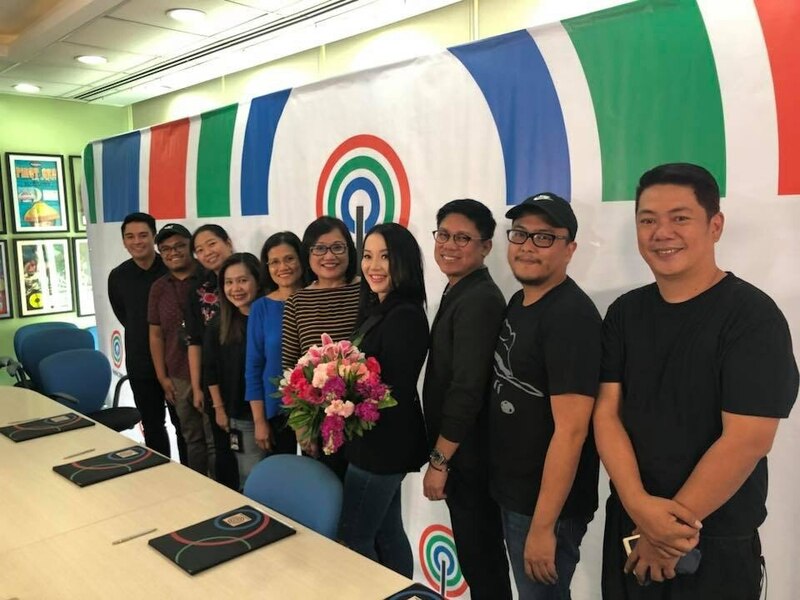 Between the writing of this second installment and the first part of this two-part feature, we reiterated our request for an interview with Kris through her lawyer Sigfrid Fortun. We were told she was undergoing tests in a hospital and cannot grant interviews. We asked if a counsel could answer for her but we did not get any response. It’s been close to three months now since Kris filed the formal complaint against Nicko Falcis in, count them, seven cities in Metro Manila: Makati, San Juan, Taguig, Mandaluyong, Pasig, Manila and Quezon City. And yet there are moments in the interview with Nicko when he still looks dumbfounded telling his story, in complete disbelief that he woke up one day and found himself the man who caught the ire of a Kris Aquino, and that he’s embroiled in a court case, and the talk of a nation.